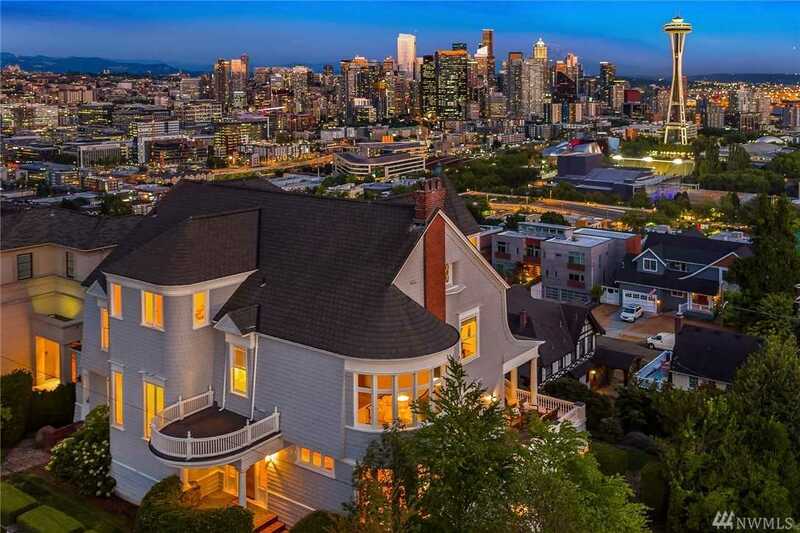 Rare opportunity to own one of Seattle’s most coveted addresses ~ minutes from downtown and South Lake Union! This shingle style homes south facing view of the city skyline, Space Needle & Elliot Bay are unmatched. Meticulous studs out renovation elegantly maintains its striking features while conveying a classic sophistication. Three balconies overlook the skyline and virtually every room offers expansive vistas. Six bedrooms, 5 baths, guest suite/nanny area, wine cellar, theatre room & garage. Lot Size: 0.27 Acres / 11560 Sq. Ft. Directions:Queen Anne Ave south to Highland Drive; Turn east on Highland - 2 block down on the south side of street. SchoolsClick map icons below to view information for schools near 153 Highland Dr Seattle, WA 98109.